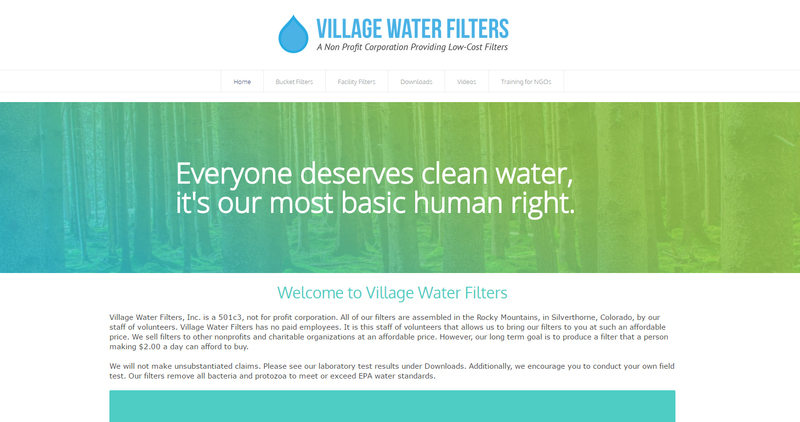 Village Water Filters, a non-profit corporation providing low-cost water filters, hired us to create an e-commerce website featuring their various water filters. We created a seamless site, providing training and handed the website off to their team for management. Working with this organization steeped in meaning and purpose was truly enjoyable.